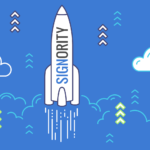 Signority uses team account roles and permission to ensure teams are secure and managed. When you first sign up for an account, you’ll have full account permission. After you join a team, you may have less visibility on functions such as billing information or account deletion options, but you’ll always be able to send, receive and managed documents. This article goes over the differences between the various team account roles available and what kind of permission each one will have. Regular Users can send, receive and share documents. They cannot view billing information nor do they have full visibility of the entire team’s work. They aren’t able to upgrade the plan either. However, they have full access to the eSignature platform and can create and send documents, templates, and other workflows. New members of a team are Regular Users by default. Team Administrators have the rights of Regular Team Members, in addition to being able to view the entire team’s work and adding or removing Regular Team Members. They have full rights to manage their team. On top of that, Team Administrators can also customize email logos and messages with Company Branding. There can be multiple Team Administrators on a team. Billing Administrators manage the whole team. They have the rights of Team Administrators, and can also manage billing, and increase or restrict the team size. 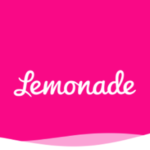 They have the ability to upgrade plans and have access to all the invoices tied to the account and team. A team can only have one Billing Administrator. If you need to switch Team Billing Administrators, please contact us directly! That is a quick overview of the team account roles. We are always adding more administrative abilities too! Feel free to contact us with suggestions on administrative features you’d like to see and we’ll add it to our product roadmap.